Figure 1. Ambassador Lhuillier delivers his remarks after the mass, thanks Tahanan for its service to the Filipino Community in Madrid. Figure 2. PE Madrid personnel were joined by over 200 members of the Filipino Community. 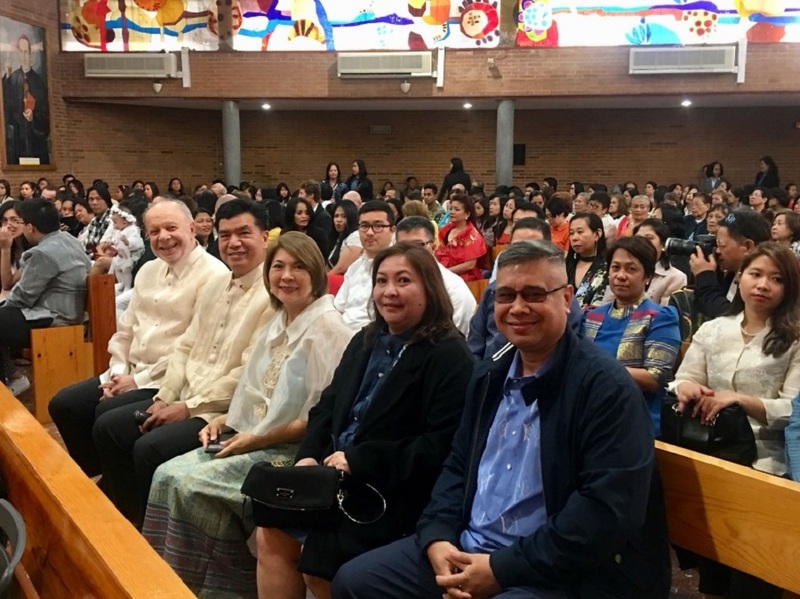 Ambassador Philippe J. Lhuillier, together with the officers and staff of the Philippine Embassy in Madrid, joined over 200 members of the Filipino Community in a Holy Mass in celebration of the 120th Anniversary of Philippine Independence at the Nuestra Señora del Espino (popularly known as Tahanan) on 10 June 2018. The mass was celebrated by Rev. Fr. Mark Angelo Martinez Ramos, SVD and co-celebrated by Fr. Jorge Dominguez. 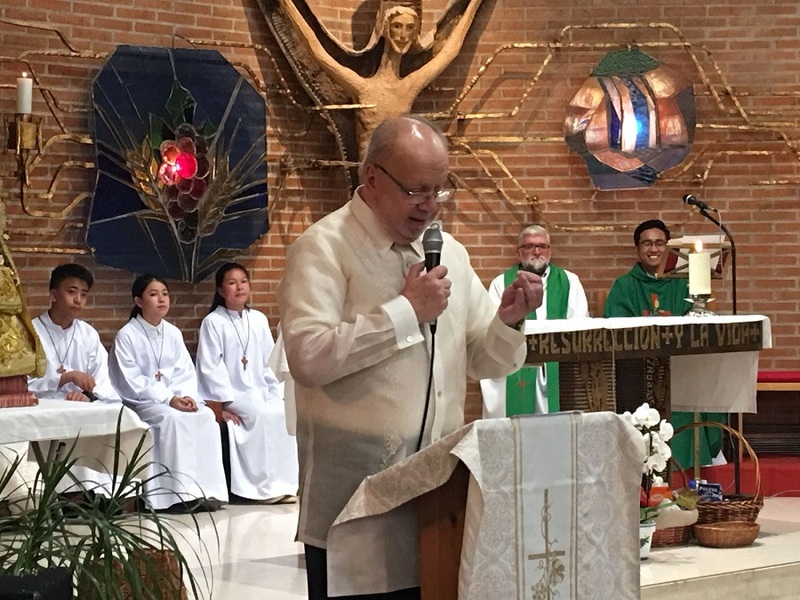 Relating the occasion of the Independence Day celebration in his homily, Father Martinez spoke on independence as a gift that should not be abused. Ambassador Lhuillier in his speech acknowledged Tahanan´s support to the Filipino Community and to the Embassy. Among Tahanan’s achievements is the teaching of Spanish to Filipinos and other members of migrant communities in Madrid, thus enabling them to integrate better and fostering the talents of young community members through its cultural shows. The ambassador further urged the Filipinos to work with the Government in building a stronger Filipino Community and in becoming citizen ambassadors through exemplary conduct.